Are you interested in viewing the sea through the eyes of an artisanal fisherman? Amigos Marinos will connect you with artisanal fishing guides in La Paz, Baja California Sur, Mexico. Unlike sport fishing tours where guides utilize high tech fish spotters and prepare your gear for you, local artisanal fishermen will teach you how to fish using traditional knowledge and basic equipment. You will learn to read the signals that nature gives us and realize that no day at sea is exactly the same. Tours range from 1/2 to full day. English translators available. Snacks and water provided. Prices start at $300 USD. Take a tour to see the fishermen harvesting and restoring their scallop fishery. Free dive to learn how to identify scallops underwater and sample the scallops right on the boat. 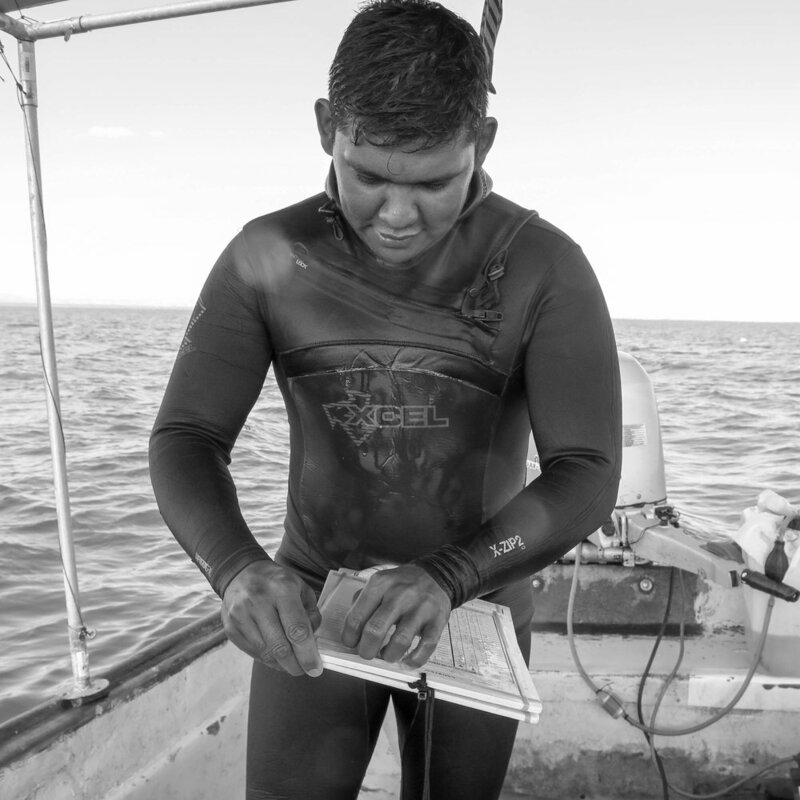 Learn about the history of the fishery restoration and participate in biological monitoring. Experience how fishermen employ generations of traditional fishing knowledge to catch fish such snapper, grouper and pufferfish using just a handline or by free diving. You can learn different ways to catch your own bait, identify local fish species, learn to fillet and even make ceviche. The Ensenada in La Paz is an estuary with wetlands and mangroves and is home to migrating bird species and a resident dolphin population. Spend the morning or afternoon exploring the estuaries in search of wildlife to check off your life list. Snorkel with the local whale sharks aboard a panga. Support the local fishermen as they focus on tourism as an alternative income while their fishery is being restored. 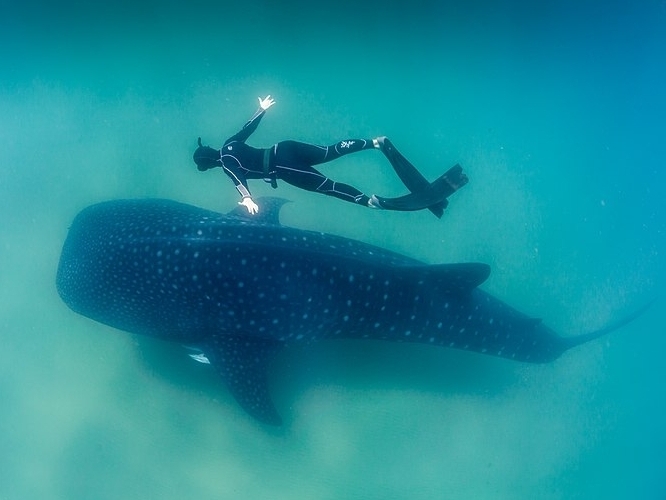 In order to ensure the safety of the whale shark, each panga is registered as a tour vessel and a certified English speaking guide will be on board and accompany you in the water. Explore the beautiful Espiritu Santo Island, now a marine protected area, with dive fishermen who know every nook and cranny of the island and seafloor. For many years, the island was the local fishing ground to artisanal dive fishermen. See the island through their eyes while you learn and explore. Go on a sportfishing adventure with fishermen who have spent their whole lives at sea. Learn to catch your own bait, experiment with new fishing techniques and practice filleting your own catch.